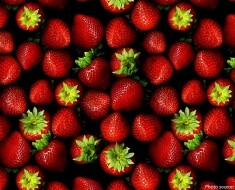 The fruit in proper botanical language is not a berry at all, but instead an aggregate fruit of numerous drupelets around a central core. Archaeological evidence shows that Paleolithic cave dwellers ate raspberries. The delectable fruit has been a part of the human diet ever since, though the canes were not cultivated until about the 4th century A.D., as documented by Palladius. In the Hellenistic period raspberries were associated with fertility are found in Greek mythology. In the Greek stories, the berries were once white but when Zeus’ nursemaid, Ida, pricked her finger on a thorn it stained the berries red and they have remained so ever since. The popularity of the raspberry in food and medical uses continued well into the middle ages when its juice was also used as a red stain in art work. The 13th century English king, Edward I, is credited with encouraging the cultivation of raspberries throughout England. 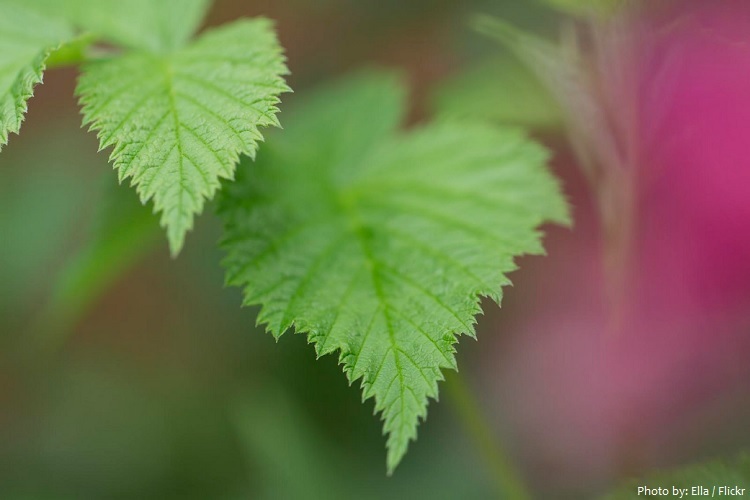 Raspberry may have been brought to North America by prehistoric people who crossed the Bering Straight and then introduced them to North America. 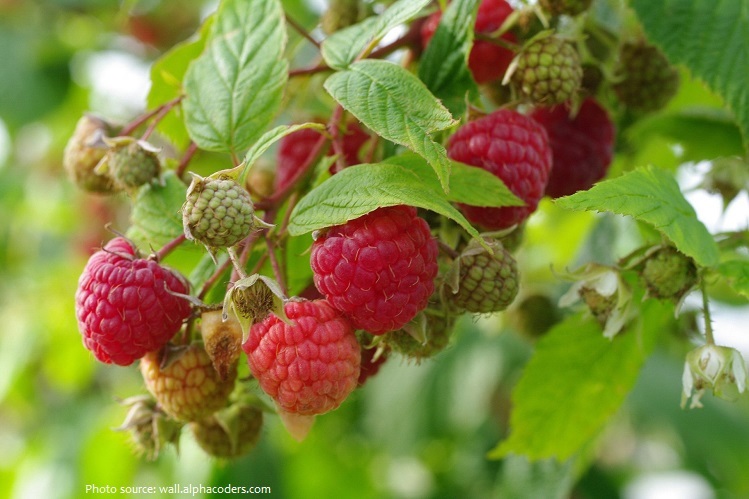 Raspberries are perennial plants with canes that live two years each. The canes are either armed with prickles or smooth, and many only produce fruit in their second year. Often reaching more than 1.8 meters (6 feet), the canes bear compound leaves with three or more toothed leaflets, depending on the species or cultivar. The leaf undersides are characteristically white to gray in color and often hairy. 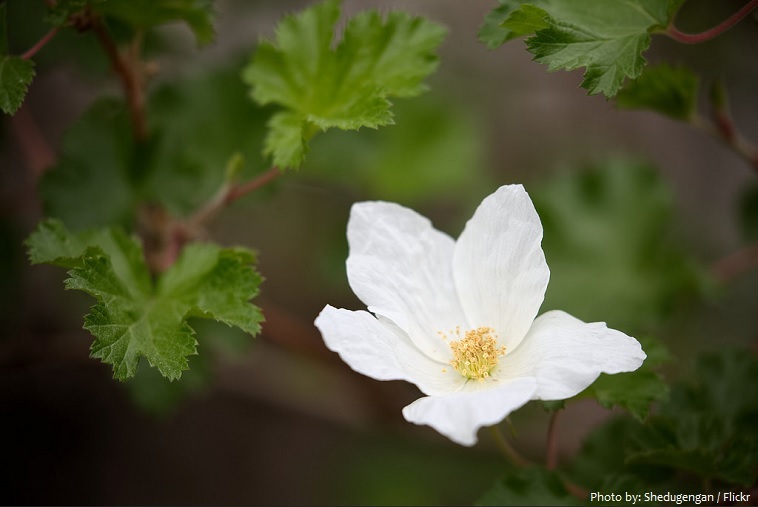 The white to pink flowers have five petals and produce juicy red, purple, or black (rarely orange, amber, or pale yellow) fruit. An individual raspberry weighs from 3 to 5 g (0.11 to 0.18 oz), and is made up of around 100 drupelets, each of which consists of a juicy pulp and a single central seed. 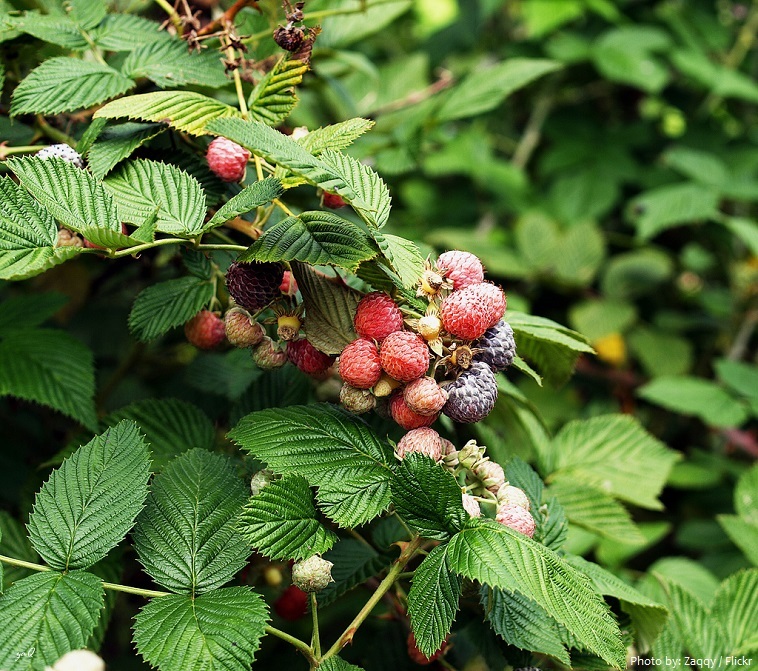 A raspberry bush can yield several hundred berries a year. 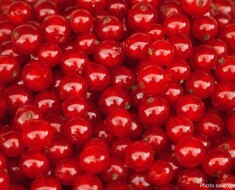 The core of the delicate fruit remains on the plant when picked, unlike that of the blackberry. 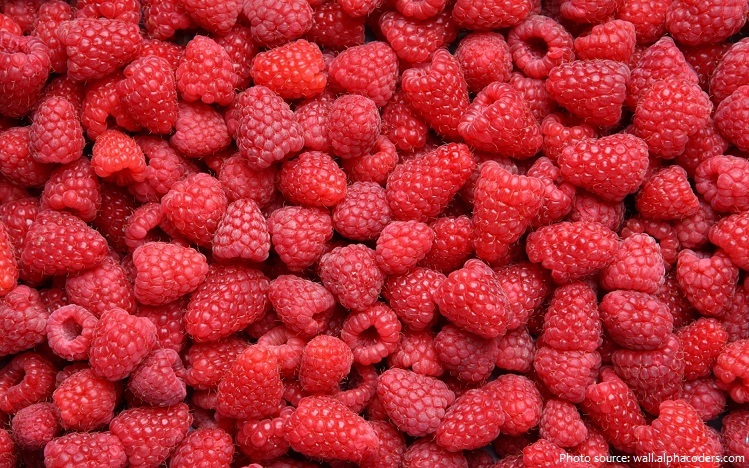 There are 53 calories in 100 grams (3.5 ounces) of raspberries. 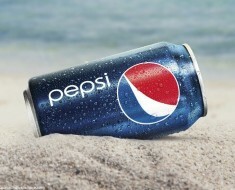 They are 86% water, 12% carbohydrates, and have about 1% each of protein and fat. 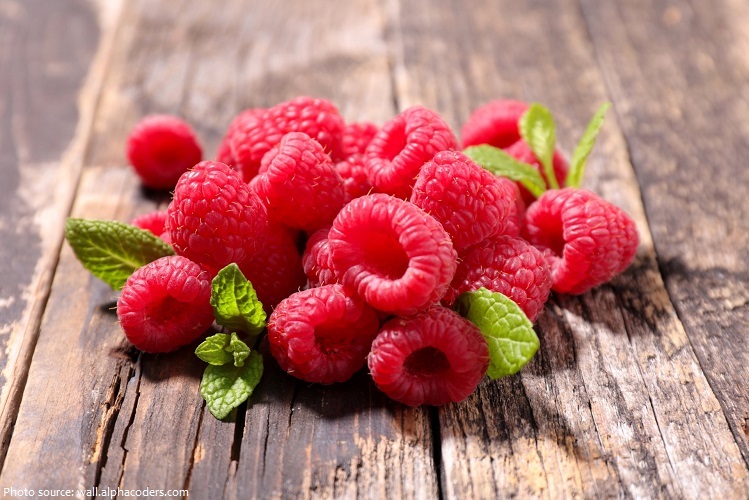 Raspberries are an excellent source of vitamin C, manganese and dietary fiber. 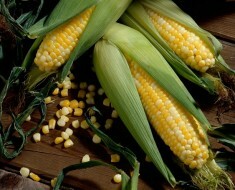 They are a very good source of copper and a good source of vitamin K, pantothenic acid, biotin, vitamin E, magnesium, folate, omega-3 fatty acids and potassium. The health benefits of raspberries include better digestive health, strengthened immune defense, healthy functioning of the heart, prevention of cancer, and relief from endothelial dysfunction. 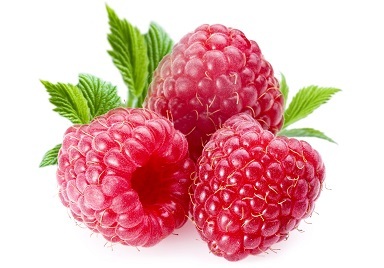 Raspberry provides cognitive benefits and aids in enhancing memory, weight management, keeping the bones strong, skin care, improving vision, keeping disease-free eyes, and normal blood clotting. 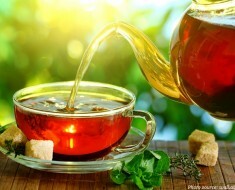 It may also serve as a valuable food during pregnancy owing to an impressive gamut of nutrients. 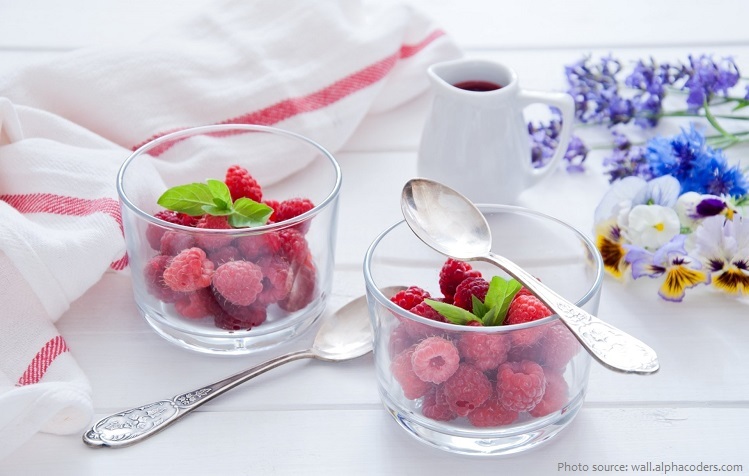 Raspberries are usually eaten fresh, often with cream or ice cream, as a dessert fruit. 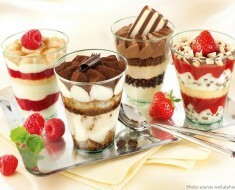 Jams and jellies are also popular, and the fruit is commonly used as a pastry filling and as a flavouring for certain liqueurs. Russia is the world’s leading producer of plums accounting for about half of world production. Other major producers are the United States, Poland, and Mexico. In early Christian artwork, raspberries were used to symbolize kindness.